I wasn't the type of child to play in the sand, even growing up within walking distance of the beach. Give me a crayon box over a sand box any day! 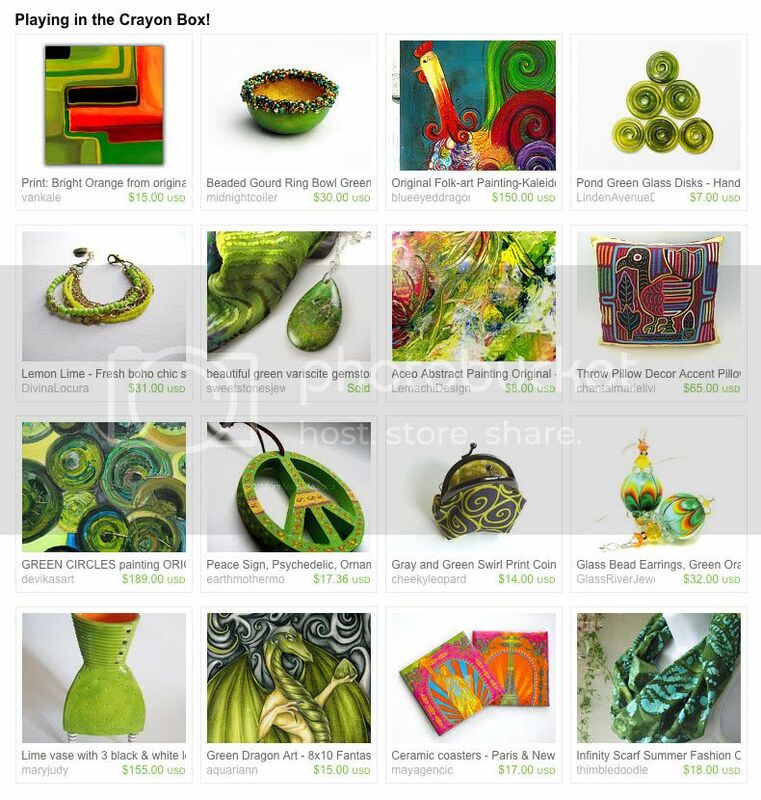 Sheryl of Hand Painted Petals blended several colorful items from the Etsy Treasury Team into a collage. Bright art includes kaleidoscope rooster painting, neon glam ceramic coasters and my green dragon print. Playing in the Crayon Box! Your dragon fits right into this collection! Thanks for sharing and hosting this linky! The greens in that treasury are gorgeous! Thanks for the great link up as always. I tried to favor and comment on all the treasuries above. A link or two did not work. Thanks for telling me, Beading Derby! I fixed the Watermelon link. Thanks for remindng me about this K!!! appreciate the link up! Cool green dragon and some great finds in that treasury there!